Secrets of the Amish Diary follows Liz Eckardt as she learns the inns and outs of running a bed and breakfast. She yearns for a quieter life and when she buys the Olde Mansion Inn, located in the heart of Amish Country, quiet is not on the agenda. From a group of loud and boisterous ladies, aptly named The Material Girls, who literally take up shop at the inn to an adorable bulldog named Beans, life in Pleasant Creek is anything but simple. Throw in Liz’s desires to undercover her mother’s secret life as a young Amish girl plus a murder mystery to solve (gasp!) and well, hang onto your buggy seat because you’re in for a ride. This delightful work of Amish fiction boasts a cast of quirky and lovable characters who will invite you into their lives where picture perfect is not all what it’s cracked up to be, but where friendships are cherished. The warm and inviting setting will leave you wanting to book a room for an extra long stay at the bed and breakfast. It’s a wonderful start to the series and I can’t wait to see what’s next for Liz and the gang! 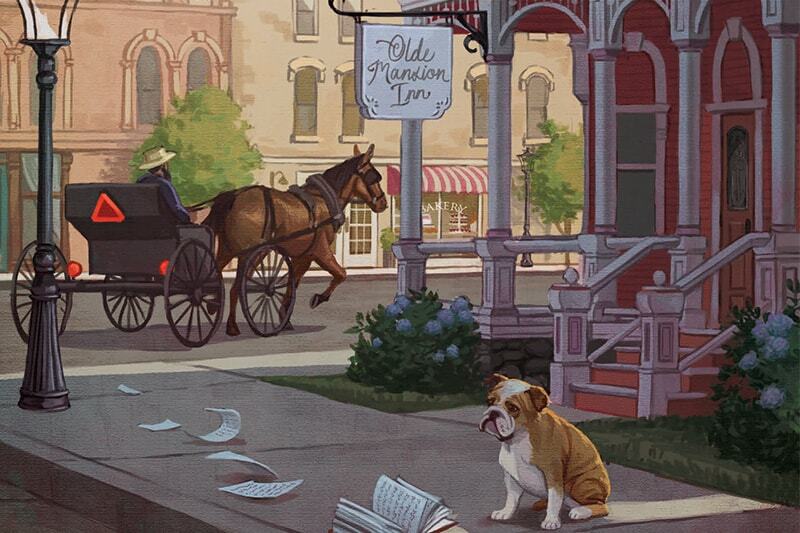 Ready to pack your bags and visit the Olde Mansion Inn? We have a special offer for you! Secrets of the Amish Diary is part of a book of a month feature from Annie’s Fiction and you can get your copy for only $6.99 (plus postage & processing). That’s over 50 percent off! 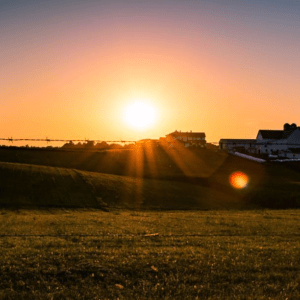 When you join Annie’s Amish Inn Mysteries, you’ll automatically receive exciting new stories about once a month (4-6 weeks) unless you cancel, for just $14.99 (plus postage and processing)! The people of Pleasant Creek are delighted to welcome Liz Eckardt to their picturesque country town as she reopens the Olde Mansion Inn bed and breakfast. But a new start and a simpler life aren’t the only reasons Liz is setting down roots in the heart of Indiana’s Amish community. She is quietly embarking on a quest to find answers about her late mother’s secret life growing up Amish. Becoming the town’s new innkeeper helps Liz ingrain herself among the townsfolk while searching for the truth about her Amish relatives. That is until she finds herself in the middle of the mysterious murder of one of the inn’s guests. Is there a connection between the death of her troublesome lodger and the truth about her long-lost family? 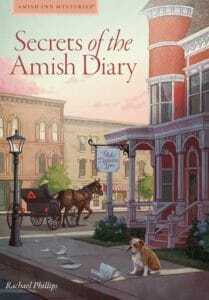 Click HERE to preview the first two chapters of Secrets of the Amish Diary!